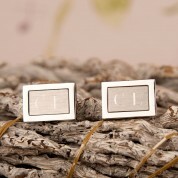 These brushed silver cufflinks are the perfect gift to wear with a dress shirt on a special occasion. 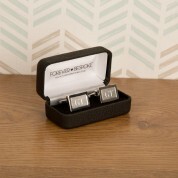 Males can be hard to buy for but this gift is ideal to add to their cufflink collection. Cufflinks are traditionally worn at weddings, graduations or birthday celebrations but can even be worn for work. 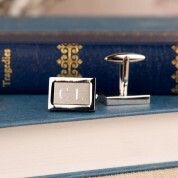 Each cufflink is rotary engraved in house so any initials can be added in standard formats: C.M.H. OR T.O'R (apostrophe) and J.S-M (double barrelled surname). 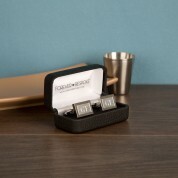 Another bonus to personalised cufflinks is that your dad or your brother is less likely to borrow them (unless of course they have the same initials as you). They can be kept in their own gift box when they are not in use.